In-frequent visitor to the Estuary when clearly visible from the Leisure Isle Causeway. 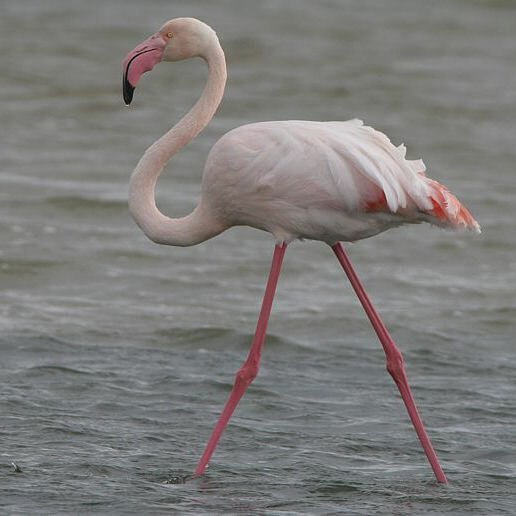 Distinguished from the Lesser Flamingo by pink bill with black tip. 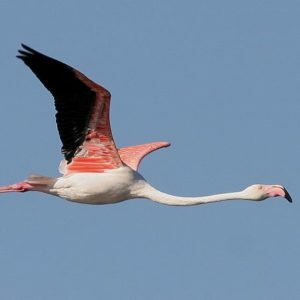 In flight, the wing-covets are an even scarlet.